Info: A Tibetan forest guard set fire to himself and died on March 25 in Sangchu (Chinese: Xiahe), Gannan. The circumstances of his death remain unclear, but due to unofficial information received from the area, ICT includes this death on the list of self-immolations. In contrast to other self-immolators, Lhamo Kyab, a Tibetan man in his early forties, appears to have set fire to himself by pouring petrol over a pile of logs, setting them alight and placing himself amidst the flames, according to Tibetan sources in exile. He died in a rural area near his home in Meshul township, Sangchu (Chinese: Xiahe), Gannan in Gansu Province. 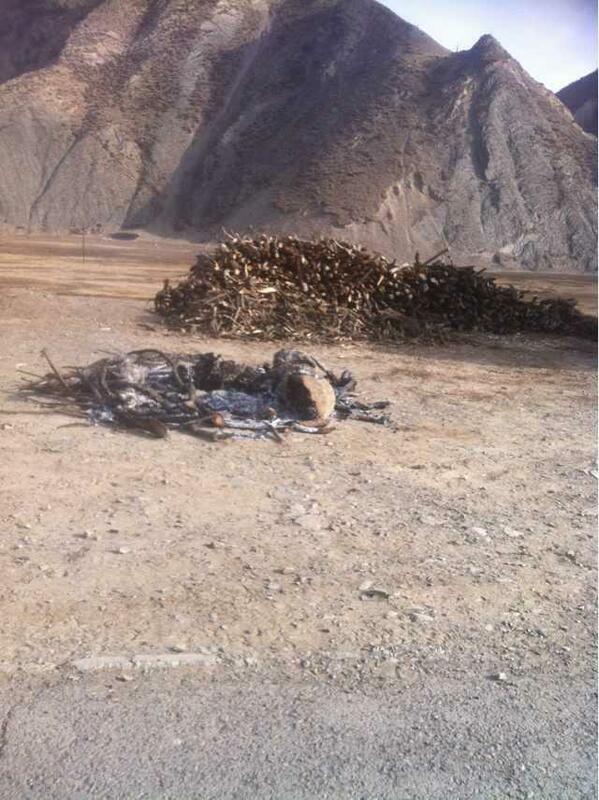 An image received from Tibet depicts what can barely be discerned as human remains on bare earth, near a pile of wood, with denuded steep hillsides beyond. By the time he was found little remained of his body. 'Before dawn, he piled up firewood, poured petro to make a bonfire. Then he walked into it. The only picture we could see was the remains of the bon fire in the barren field and mountains behind. Flowers are blooming here from dry branches and from the cold earth. DHARAMSHALA, March 25: Within 24 hours of Kal Kyi’s self-immolation in Zamthang, another Tibetan has set himself on fire today in an apparent protest against China’s continuing occupation of Tibet.